GOMA, Democratic Republic of Congo — Congolese President Joseph Kabila’s sudden ban on mineral exports from three eastern provinces has left many observers in the region questioning the effectiveness of the directive. It has also reportedly made life difficult for experts at Congo’s mining ministry in Kinshasa, who have been struggling with how to implement and enforce the ban. According to North Kivu’s provincial mining minister, the ban will soon be lifted, but the overall impact on the militarization of the mining sector remains up in the air, especially given the pervasive role of the Congolese national army in the mining of gold, tin, tungsten, and tantalum ores. 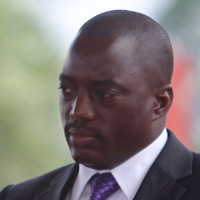 Alongside the ban, Kabila had also called for the redeployment of much of the 8th Brigade of the Congolese army, or FARDC, especially those units comprised primarily of former members of the National Congress for the Defense of the People, or CNDP, rebel group. These efforts have not succeeded, and in a recent joint memo, two colonels representing former CNDP and PARECO (a Mai Mai militia group) fighters admonished the president for failing to follow through on its commitments both toward the political settlement with the rebels as well as the full integration of their forces into Congo’s army. In fact, many of the integrated ex-rebels have benefitted financially from integration, particularly since the Congolese army launched military operations, with support from the United Nations, against the mostly Rwandan rebel group the Democratic Forces for the Liberation of Rwanda, or FDLR, in January of 2009. For many, the stated aim of neutralizing the FDLR has been less important than using the cover of the official operations to expand their control of economic resources, principally mines. (See Appendix 1 for a partial list of FARDC-controlled mining sites.) Some FARDC units have collaborated with the FDLR to profit from the mineral trade, and the Congolese army has both abetted and directed major human rights abuses. For example, ex-CNDP Colonel Yusufu Mboneza, commander of 212th brigade deployed in Walikale, was arrested on August 8 by the military court in Goma for failing to stop the FDLR and Mai Mai attack on the villages of Luvungi, Mpofi, Otobora, and Omate in July. The colonel has been freed but apparently relieved of the 212th brigade command. The massive tin mine of Bisie in Walikale territory is the most well-known site in the Kivus and accounts for an estimated 40 percent of revenues for North Kivu province. But the actual sums earned from the illicit taxation of trade from Bisie are much larger than what has been reported in state coffers. (See Appendix 2 for an inventory of the illegal payments from this site.) Also, Bisie’s notoriety should not obscure the strategic importance of the many gold mines scattered across the provinces that have come under the control of Congolese army officers during military operations against the FDLR. As part of the “Amani Leo” and “Ruenzori” military operations, the Congolese army has deployed 45 brigades to track two foreign rebel groups—the FDLR and the Ugandan rebel group the Allied Democratic Forces-National Army for the Liberation of Uganda, or ADF-NALU. But Congolese army involvement in mineral mining and trafficking and the misappropriation of troops’ pay and operational funds continue to put civilians at risk, allow the proliferation of local and foreign armed groups, and impede investment and reconstruction. In the meantime, the continuing activities of foreign rebel groups provide a pretext for external intervention by Congo’s neighbors, which inevitably results in violence against civilians and the pillaging of Congo’s resources. Much has been written about the threats to local livelihoods in mining-dependent areas of the Kivus. One of the key concerns is that in recent times, economic activity in remote parts of Walikale, Shabunda, and other regions has been dependent upon mineral-driven air traffic. Flights that carry minerals out of these regions bring in food and other necessities because trade routes on the ground have been cut off by insecurity, checkpoints, and oftentimes very rough road conditions. In recent years the establishment of an industrial gold mining operation by the Canadian Banro Corporation in Twangiza, Walungu territory in South Kivu marks the return of industrial mining to the region. Banro was exempted from the mining ban, and it recently began construction of its plant at the Twangiza site, approximately 50 miles from Bukavu. The track record of industrial mining in Congo leaves much to be desired, with serious questions regarding the equity of mining contracts and the behavior of international mining companies. But in the Kivus there is hope that industrial mining could provide an alternative to armed groups. Mwamikazi Esperance Baharanyi, traditional queen of the Walungu territory, a territory roughly the size of Rwanda, told Enough that Banro “represents a positive alternative to artisanal mining in eastern Congo.” However, it is too soon to tell whether such efforts will effectively help local communities benefit from their natural resources. Aside from deposits of gold and the 3Ts, eastern Congo is said it also possesses uranium deposits rumored to be even more important than the well-known Shinkolobwe uranium mine in Katanga province, the source of the uranium used in the atomic bombs dropped on Hiroshima and Nagasaki during World War II. Areva, the French nuclear leader that specializes in uranium extraction, has apparently received a license for Walikale territory and will commence exploration shortly, although it is difficult to imagine how they will be able to operate amid the ongoing insecurity and the pervasive presence of rebel groups and Congolese army units. Congolese human rights groups report that some FARDC officers continue to oversee mining through forced labor, primarily in Bisie, Mubi and Kalehe, and smuggle minerals out via Lake Kivu, Lake Tanganyika, and the Ruzizi Plains. Given this continuing bad behavior, it is all the more important that Congolese and international actors quickly mobilize to use this moment of opportunity to push for a more effective demilitarization of the mining sector and the creation of a more peaceful and legitimate trade. The stated objectives of Kabila’s ban—starving rebel groups of resources and demilitarizing the mining sector—have not been met, and in the absence of more effective measures to achieve these objectives, security and the economy in eastern Congo will worsen before they improve. In particular, there is growing potential for further cross-border intervention by Rwanda and Uganda, ostensibly to deal with their respective rebel groups but with likely ulterior economic motives. Violence against civilians is likely to remain a constant of military action in the region. To improve efforts at neutralizing and demobilizing rebel groups, the United Nations should publish updated figures on the estimated size and whereabouts of FDLR and ADF-NALU forces, as well as devise options for those combatants who do not wish to return to their countries of origin. As part of efforts to improve Congolese army performance, President Kabila should set an example by holding to account those FARDC officers suspected of misappropriating resources and expedite efforts to ensure the payment of salaries for troops deployed on the battlefield. International efforts toward comprehensive security sector reform, including both the army and the police, should be conditioned upon Congolese government commitment to implementation of peace agreements and protection of civilians. To demilitarize the mining sector, the government of Congo will need to follow through on commitments to move the FARDC out of mining sites and replace them with mining police, and shuffle the deployment of civil service agents currently stationed in mining sites, taking steps to crack down on corruption. Alongside these immediate steps, the Congolese government, together with international partners including the U.S. and other key actors with interest in the mining sector, should commence long-term planning for the formalization of the mining sector in the East. This should include a series of consultative meetings between government, civil society, and the private sector to develop a common approach to the mining sector as part of the regional push for a certification system, with emphasis on traceability and independent audits. Finally, the government and its donors should prioritize investments in agriculture, infrastructure, and sustainable livelihood alternatives in areas previously dependent upon mining.